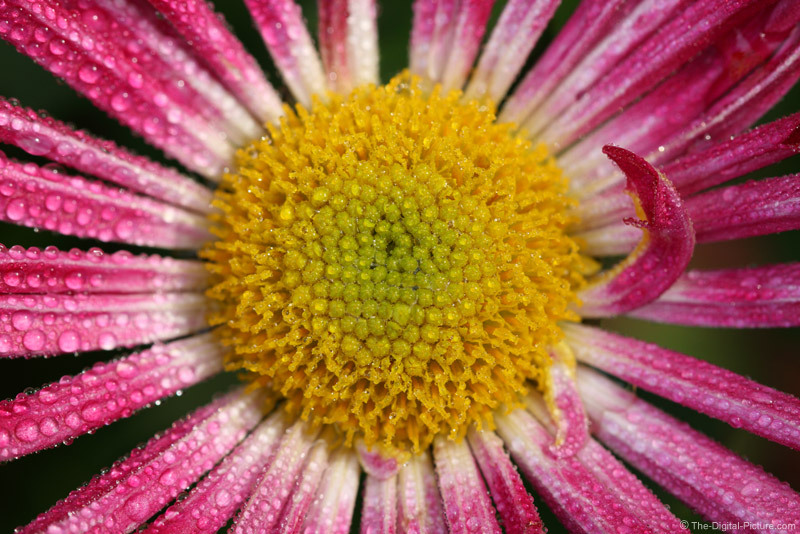 I was shooting this Chrysanthemum early one morning. It was just wet enough that I wasn't completely satisfied with the results. So, using a small, empty eyeglass cleaner spray bottle, I applied a light mist of water to the mum until the image results were more exciting. This shot was taken handheld.